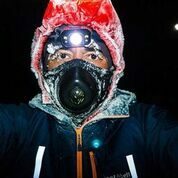 The Runlock rope lashing system is a Swedish product perfectly suited to use in cold conditions. 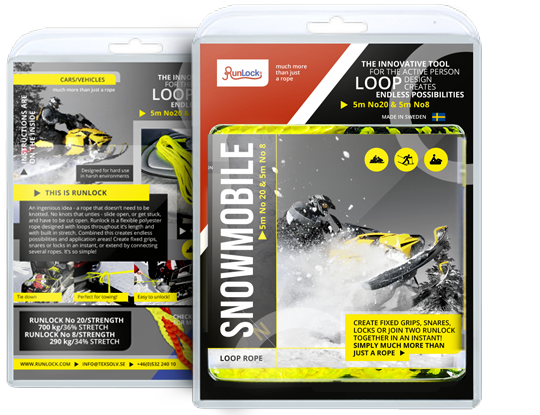 We have found it to be excellent for lashings down gear on sleds and snowmobiles, towing, hauling or just about anything needing a rope in the outdoors. A Runlock rope contains a series of loops enabling the user to create fixed grips, snares and locks or join two ropes together in an instant. It provides the perfect combination of strength, flexibility and durability. 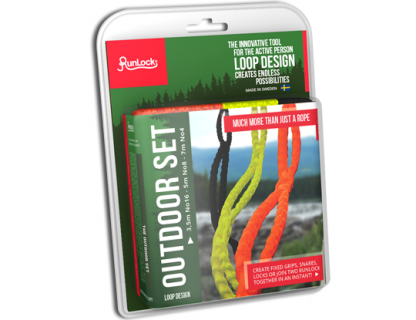 It is fully adjustable, multifunctional, never tangles and is knotless – Really, it’s much more than a rope. Runlock can be supplied in #4 4mm, #6 5mm, #8 6mm, #12 8mm, #16 10mm and #20 12m gauges. We stock two packaged Runlock sets but please contact us if you have a specific requirement. 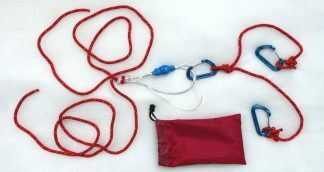 The best combination for the trail or backcountry; 5 meters RunLock no. 20 and 5 meters RunLock no.8. Available in fluorescent yellow/black. The Snowmobile set contains 5 meters of no. 20 (strength 700 kg) to use for towing and 5 meters no. 8 (strength 290 kg ) for strapping. Easy to handle.